As markets and industries continue to evolve, connectivity and security will play a greater and greater role in their evolution. The term Internet of Things (IoT) has been used quite extensively to express today’s world of consumer and industrial products. However, for some time the definition of IoT and more specifically, its application, has been confusing to many. In its simplest terms it defines a network of products operating independently yet connected in a way that allows interoperability with each other. Limiting the definition to these terms only describes the tip of the IoT iceberg. The end functionality of a specific IoT device will define the combination and/or level of complexity of those integrated components. Clearly the requirements for an end node product such as a wearable, medical monitoring device will be very different from a high speed, high-bandwidth gateway product. Nothing stated above is a surprise to anyone, but what is emerging is how our future IoT landscape is morphing and transforming. The process of developing new products all the way up the supply chain remains fairly consistent encompassing areas of process and materials R&D, IC design, hardware development, the integration of software and firmware and then wrapping the final product design and application development. The pace of product introductions, especially those serving IoT markets, will continue to accelerate. The level of integration and functionality will also continue to increase exponentially. As a result, volumetric area, and in some cases weight, will become a clear hurdle to overcome. There are simply too many startups. Too many $1B ‘wanna-be’ companies coming from incubators, split-off product teams, and college graduates with cool ideas. The standard NPI process simply won’t work. Beyond their big ideas, these emerging companies have limited staffing, usually limited funding and opportunity windows, and very strong skills in a few focused areas. What they need is a breath of experience in hardware system design (Analog, Digital, RF, Sensors, high speed memory, etc) as well as software and firmware development, board and peripheral design, system design, test and validation. All of this before they develop their unique application and launch their cool product to market. At NXP, we get it. We’re designing more integrated, optimized modules. Designing smaller, packing more features and delivering simple, plug-and-play solutions. There’s no better example than our Single Chip System (SCM) families, which are making exciting things possible for IoT product designers. 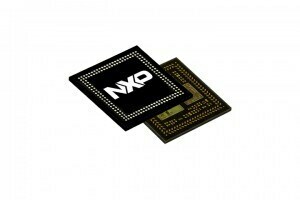 This past February, NXP launched into production the first SCM family: SCM-i.MX 6D/Q, which integrates in a very small module (14mm x 17mm) a NXP high-end, fully featured i.MX6 Dual or Quad core application processor, a fully enabled power management IC, embedded SPI NOR memory, plus over 100 discrete components which allow the module to perform as a truly integrated system. In addition, you can choose either 1GB or 2GB of LPDDR2 memory. Several derivatives are now being launched including meeting industrial specification as well as the introduction of ePoP memory (512MB LPDDR2 + 4GB eMMC combination) in place of the PoP LPDDR2 options. One of our two newest families, the SCM-i.MX 6SX is a very small (13mm x 13mm) package combining the performance of NXP’s i.MX 6SoloX apps processor, a PF100 power management device as well as over 40 discrete components (decoupling caps, resistors). The part also comes with an option of a varied size of LPDDR2 memory and ePoP, both in a Package on Package (PoP) configuration. This product is designed in a 0.75mm diagonal ball pitch array allowing you to design it in a relatively low-cost PCB board. The SCM-i.MX 6SX also comes with a tested and validated BSP, allowing you to quickly design it into your application and move quickly into developing your application software and product. These modules address time to market with most of the heavy lifting done by NXP—from high speed memory design and calibration to optimizing the power rails. In addition, these modules address size. In all cases, they offer you a minimum 50% reduction in board area over discrete solutions. In most cases, the area saved can be substantially higher. SCM-i.MX 6SX V-Link P0.75mm is an exciting new product portfolio addressing the next big challenge for those of you wanting to use a highly integrated module while also getting your own unique, customizable solution specific for your product and application. The first in this family is an integrated SCM with a full featured i.MX 6SoloX apps processor, a full featured PF100 power management IC as well as 512MB of LPDDR2 along with a host of discrete components all embedded in a 15.5mm x 15.5mm base SCM package. In addition a unique NXP signal bus (V-Link) has also been integrated inside of the package allowing for multiple I/O signals, power and ground from the apps processor and PMIC to be brought to the top surface along with several pass through connection. This configuration now allows you to design, fabricate, assemble and attach your own unique ‘top board’ using standard PCB or substrate based technologies offered around the world. What is exciting about this product is that NXP has developed a base SCM with the horsepower and functionality required for that matched application, yet allowing you to pick your own off-the-shelf components for the top board. These can be anything from industry RF solutions (WiFi, NFC, classic BT, BLE, 15.4 or combination modules) along with all types of sensor and charging devices to audio codex including those offered by NXP or not. In addition, the V-Link has several pass-through connections allowing direct access of the top board from your PCB application board for components like specialty PHY interfaces. This allows for additional space utilization yet still maintaining access from the main board. As this class of products evolve, targeting the automotive markets will become inevitable. With the introduction of the third family (SCM-i.MX 6 SoloX V-Link), NXP brought to both established and new customers the next level of customization they each require. As exciting as these new products are, you ain’t seen nothing yet. The coming months and years will grow our level of sophistication and offer you even more compelling options including higher levels of system security, functionality, analytics, greater autonomy and ease of use. We’re committed to making designing for the IoT an easier, simpler process with ready-to-go solutions like the SCM families. Can we still trust passports?